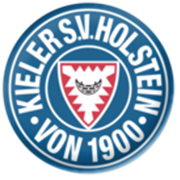 After shocking Freiburg in round 2 of the DFB Pokal, Holstein Kiel will be looking to claim yet another major scalp in the German Cup when they host Augsburg at their Holstein-Stadion. The 2. Bundesliga side are determined to return to the German elite division, but they have big ambitions for the DFB Pokal as well. It is well known that Holstein Kiel are tough to beat at home and seeing that Augsburg are not considered good travelers, we believe that the hosts are going to grab something from Wednesday’s football game. The Bundesliga side did well to crush Mainz 3-0 at home in the national championship at the weekend, but given their poor away record, we predict that they are going to play out a draw with the 2. Bundesliga team after 90 minutes. 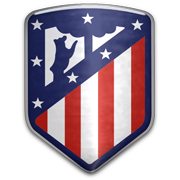 Taking everything into account, the winner is likely to be decided after extra-time. Born in Grindavik in 1989, Alfred Finnbogason is one of the most prolific strikers in the history of Icelandic football, as the well-travelled forward has been scoring goals for fun throughout his career. His talent was first spotted at Breidablik, where two very successful campaign helped him move to Lokeren, where he did not spent a lot of time and soon signed for Helsingborgs. The return of 12 goals in 17 league outings for the Swedish giants soon secured him a move to Heerenveen, where he would go on to play the best football of his career, scoring remarkable 53 goals in 65 Eredivisie matches. Finnbogason somewhat struggled during spells with Real Sociedad and Olympiakos, but managed to kick-start his career at Augsburg, just in time to help Iceland on their first ever European Championship appearance. The prolific striker has been a member of the country’s national team since 2010, making over 30 appearances and scoring quite a few goals despite the fact that he was not always considered a first team regular.